One of our top picks in Bruges. Hotel 't Zand is situated in the heart of historic Bruges, within 450 yards from Market Square and right next to Bruges Concert Hall. It offers free WiFi. 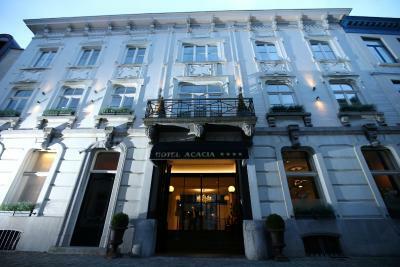 Acacia combines leisure facilities, cosy public areas and a garden terrace, only 100 yards from the Market Square and the Belfry of Bruges. The hotel includes a bar with an open fireplace as well as a cosy lounge with a piano, free tea and coffee facilities and a public computer with free internet access. One of our bestsellers in Bruges! Academie is less than 100 yards from the famous Minnewater in a scenic and peaceful area of Bruges. The hotel includes a cosy bar, underground parking and a terrace with a garden. Free WiFi is available throughout the entire property. 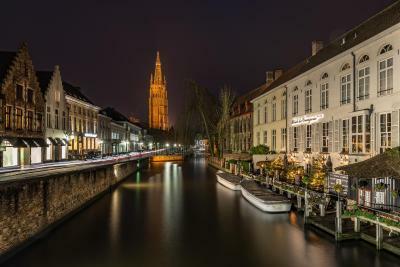 Located in the centre of Bruges within walking distance of Market Square, Hotel Adornes benefits from a unique view over the canals. It offers free WiFi, private parking spots and a continental breakfast buffet. 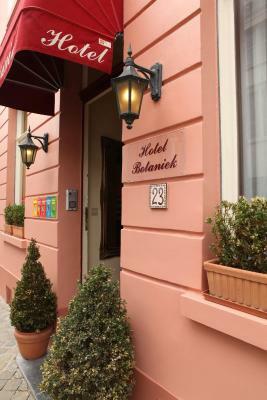 Hotel Albert I is situated next to an underground parking garage on ‘t Zand and is set within a 10-minute walk from the Market Square and the Belfry. Bruges' Train Station is an 8-minute walk away. Free WiFi is available throughout the entire hotel. One of our top picks in Bruges. 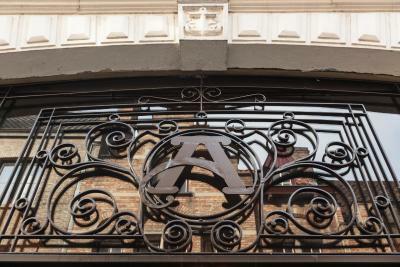 Hotel Alegria is within 100 yards from the famous Grote Markt and Belfry in Bruges. This 3-star green hotel offers accommodation with free WiFi and serves an extensive breakfast on the garden terrace. One of our top picks in Bruges. 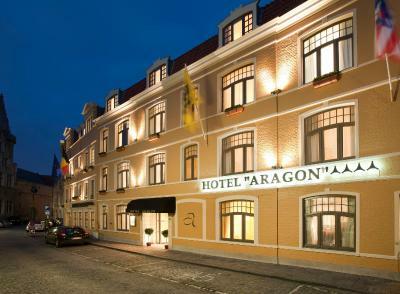 Newly renovated Hotel Aragon offers spacious rooms and apartments in the centre of Bruges, 100 yards away from the Market Square. It offers free Wi-Fi throughout the hotel and an extensive breakfast. 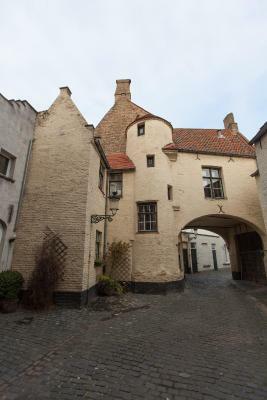 Located in a characteristic house, in the centre of historical Bruges, this homely residence provides traditional hospitality and simple, neat rooms. Enjoy the peaceful garden. 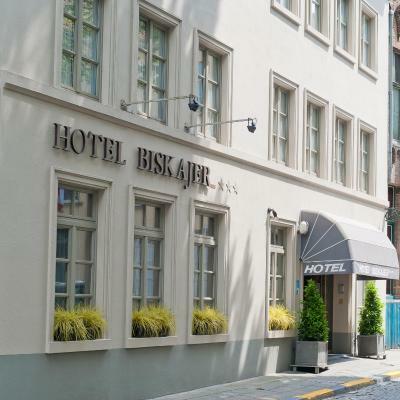 Located in front of a small square in Bruges, Hotel Biskajer offers elegant rooms and free Wi-Fi access throughout. It includes a bar, and is set 400 yards from Bruges' central Market Square. Centrally located in the historical heart of Bruges, a 5-minute walk from the Market Square and the Belfry of Bruges, Hotel Bla Bla features free WiFi and a peaceful garden with a terrace. This design hotel offers bicycle rental services. One of our top picks in Bruges. The elegant Hotel Botaniek is a renovated 18th-century mansion. 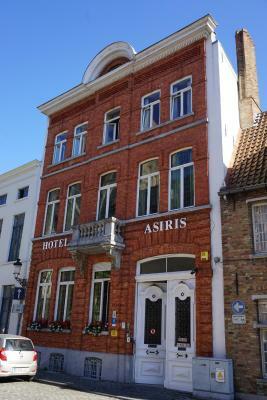 The hotel is situated right in the historical centre of Bruges, 50 yards from the picturesque canals. One of our top picks in Bruges. Set in the heart of historical Bruges within just a 3-minute walk from the central Market Square and the Belfry of Bruges, Hotel Boterhuis includes free Wi-Fi access, an on-site bar and a terrace. Guests can rent bicycles or a car to explore the hotel's surroundings. One of our top picks in Bruges. 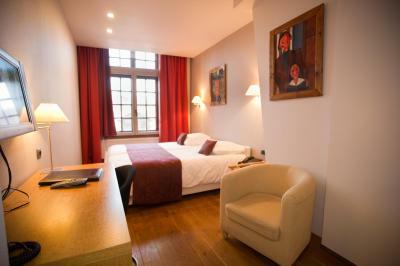 Bourgoensch Hof offers rooms in the historic centre, only 200 yards from the Grote Markt. This 3-star hotel features free WiFi and a terrace overlooking the canals. Bryghia is a small hotel directly situated on a quiet square with views on the canal. The Market is an 8-minute walk and all attractions are within walking distance. 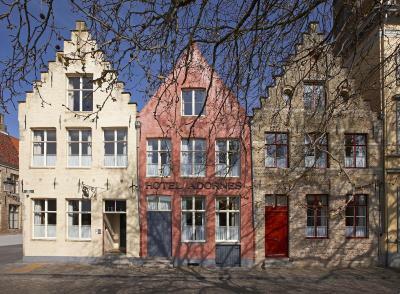 This hotel offers simple yet functional bed and breakfast rooms, next to the Zwarte Huis, in Bruges city centre. Cavalier is 250 yards from the Grote Markt and the Belfort. 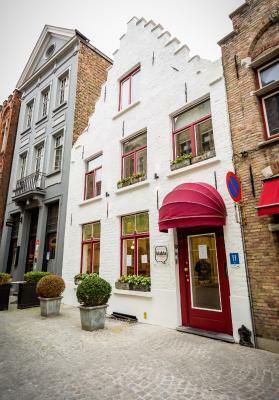 This historic townhouse has an eye-catching exterior and a large terrace directly on the Grote Markt in Bruges. Hotel Central is located opposite the 13th-century Belfry. One of our top picks in Bruges. 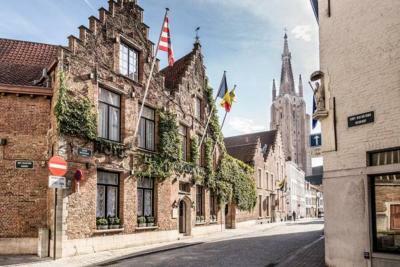 Hotel Cordoeanier is located in the heart of Bruges, behind the Market Square. You can easily discover the city from here. 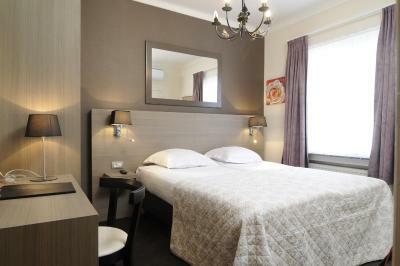 Hotel de Castillon is a small and elegant hotel in Bruges with a central location. Stay in one of the beautiful rooms and have a drink on the pretty courtyard terrace. One of our top picks in Bruges. Hotel de Orangerie offers spacious guest rooms in a 15th-century former convent along the picturesque Dijver Canal, 250 yards from the Market Square and the Belfry of Bruges. It features free WiFi, a garden and a waterside terrace. 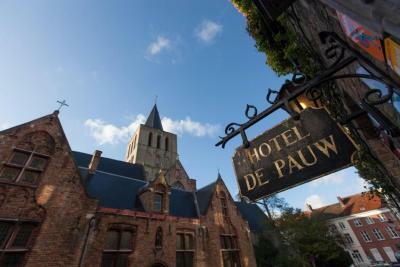 Hotel de Pauw is a small family-run hotel situated nearby the Saint Gillis Church in the city centre of Bruges, a 0.6 miles walk from the central Market Square and the Belfry. 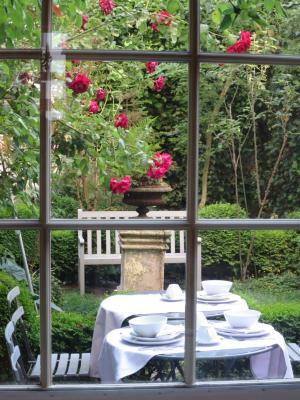 Guests can benefit from free WiFi, an à la carte restaurant and a garden.